Probably one of the most common ways of collecting stamps is individually, as singles. 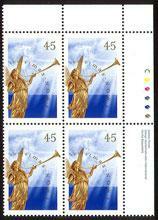 However, many collectors also like to collect blocks of stamps. 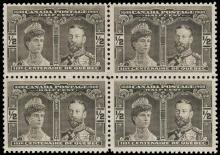 Stamp blocks make for an attractive display in a collection and in some cases, even turn out to be a valuable investment. Several different types of stamp blocks exist and this article will help you to understand the difference between a regular block, a plate block and an inscription block. 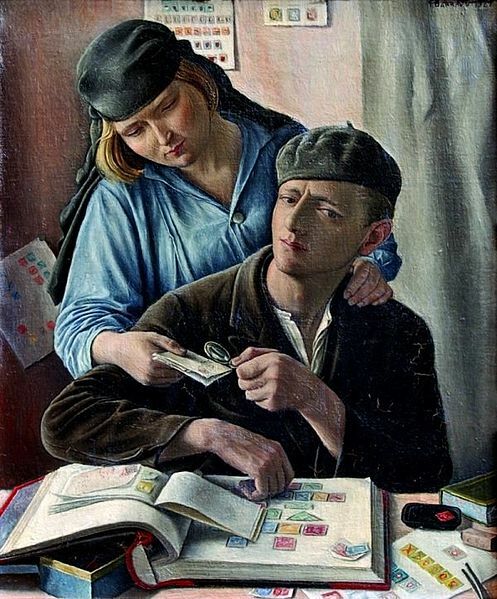 First of all, what is a stamp block in philatelic terms? It is a group of stamps (usually four) still attached together, which has been separated from the original printer’s sheet or post office pane. 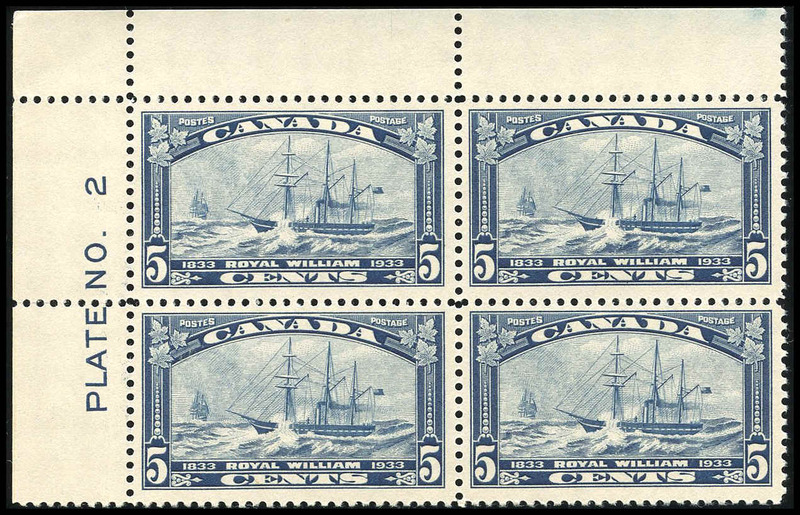 As previously mentioned, groups of four stamps are the most common block format (especially for Canada stamps), although blocks of six or eight stamps do exist. As their name suggests, blocks are always made up of at least two rows of stamps (eg: 2 stamps high x 2 stamps wide), thereby forming a square or rectangular shape depending on the stamp’s dimensions. A stamp block can be four of the same stamp, or be four stamps from a series in se-tenant form. 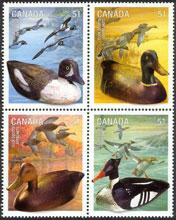 These se-tenant blocks of different stamp series issued by Canada Post are especially fun and popular to collect. The Unitrade Specialized Catalogue of Canadian Stamps usually assigns se-tenant blocks their own catalogue number. process… e.g. the plate number (hence, the name “plate block”), the printer’s name and sometimes the order number. In strictest philatelic terms, the designation “plate block” can only apply to corner blocks of engraved stamps, in other words, stamps printed from an engraved printing plate. Each printing plate had a serial number engraved upon it and that number helped the printer maintain proper quality control. If ever the printer noticed a sheet of stamps that was badly printed, it was easy for him/her to cross-reference the plate number on the stamp sheet with the corresponding printing plate to see if it had been damaged in any way. By the late 1960s, printing from an engraved plate was being replaced by lithographic printing, which is a completely different process. Since there were no more engraved plates, there was no need for plate numbers. However, the selvage in each of the four corners of the stamp sheet still contained some inscribed information such as the printer’s name and the stamp designer’s name. Not possessing a plate number, these corner blocks are technically called “inscription blocks”, although the term “plate block” is often used interchangeably for both. 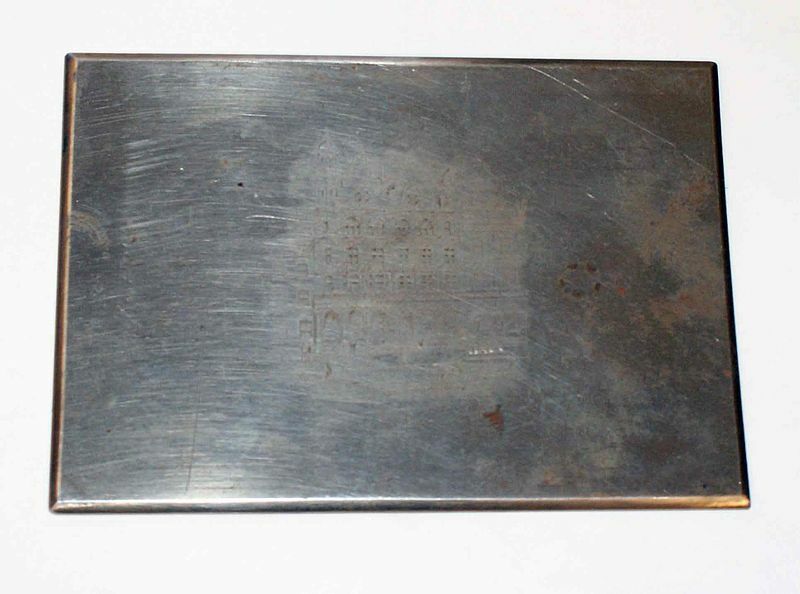 Our next article will discuss the various merits and procedures for collecting plate blocks. I would like to know if a block of four stamps, taken from the inside of a sheet and without any numbering, has a value that is less than a block that contains the numbers?? It has less value, than a block with plate numbers. How about a corner block from sheets of 50 stamps, but the selvage is smaller with no inscriptions whatsover. Are those worth as much as a plate block? I’m resurrecting my stamp collection (and it’s been about 17 years!) I am cataloging my stamps and have a question about the variety of [regular “Blocks”] such as the Zip Block which I have seen listed in the Scott’s Specialized Catalog but I see no reference to other blocks of 4 such as Olympic Rings Block or Copyright Block of four, etc. Are there specific values assigned to these various block? Or is their value based solely on a quantity of 4 stamps and their condition and quality? Any help on this would be greatly appreciated. What are the medal 1869 stamps called? And is it a real postal stamp? I have some plate blocks of 4 with a zero stamped in the middle. Does anybody know the meaning of that?